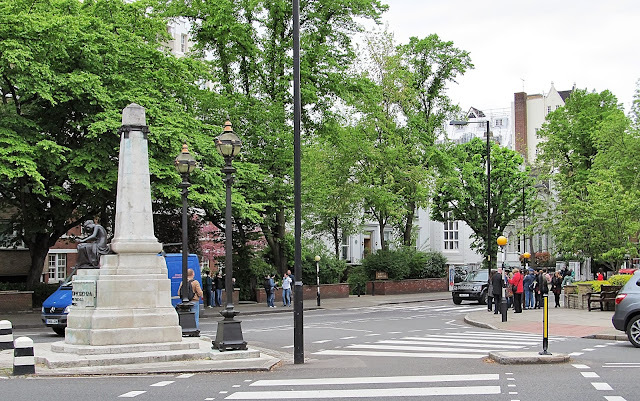 ...and you'll come to a particular intersection that seems much busier than it should normally be. ...and stop suddenly in the middle of the street as traffic screams to a halt and the drivers lay on their horns. What inspired this behavior? They are attempting to recreate The Beatles' iconic cover of the Abbey Road album. 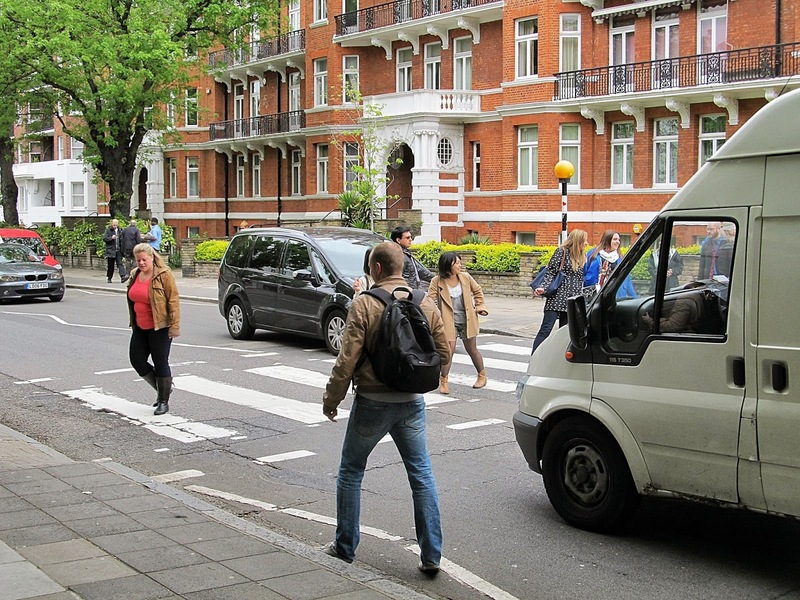 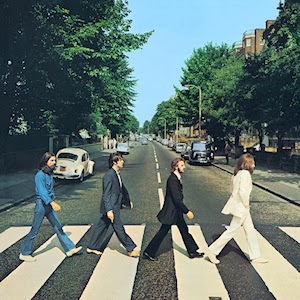 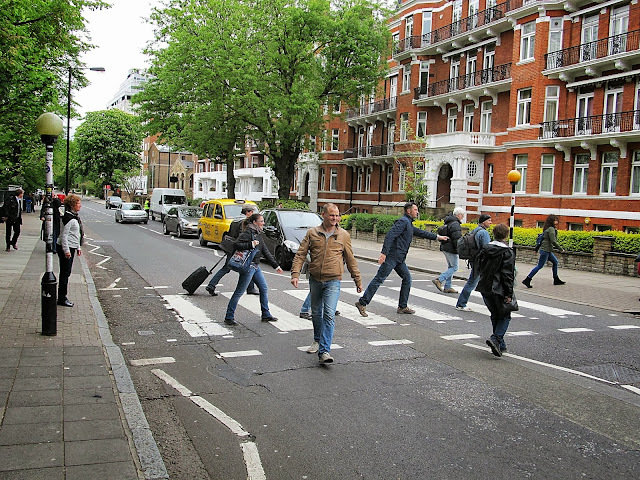 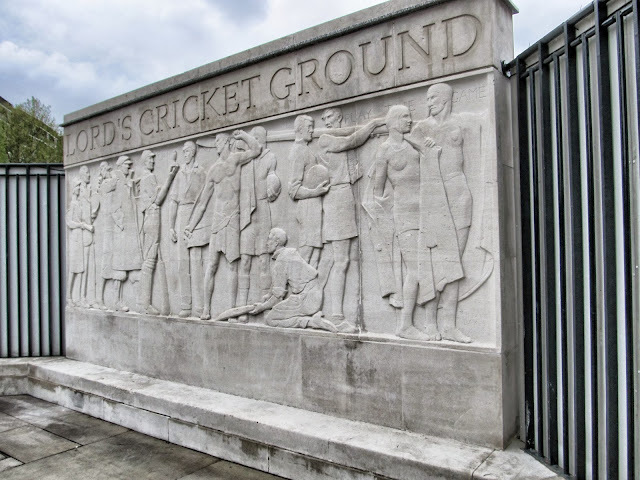 The album was recorded at the Abbey Road Studios just down the street from this photograph and you can watch a camera feed pointed at the intersection on the studio's webpage. 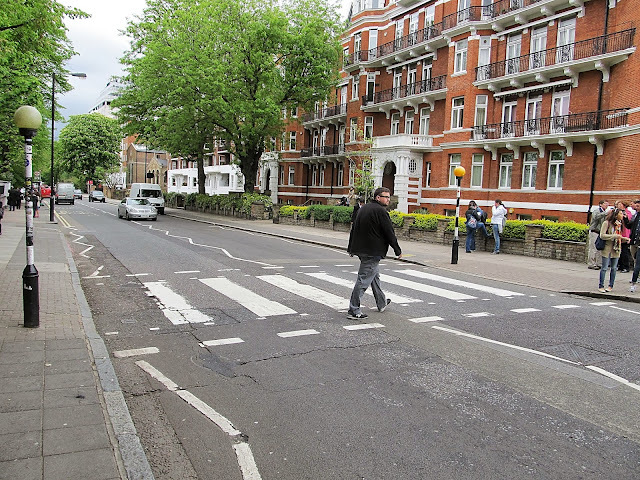 Although I wasn't sure at the time, it looks like I'm doing a pretty good Ringo during my time crossing the street..and I didn't think my life was in danger either.